The Bold Women & Beer Festival will feature beers from more than 40 breweries, as well as food trucks and live music. This spring, Philly beer lovers will celebrate women in the beer industry with the Bold Women & Beer Festival, billed as Philadelphia’s first ever female-focused beer festival. 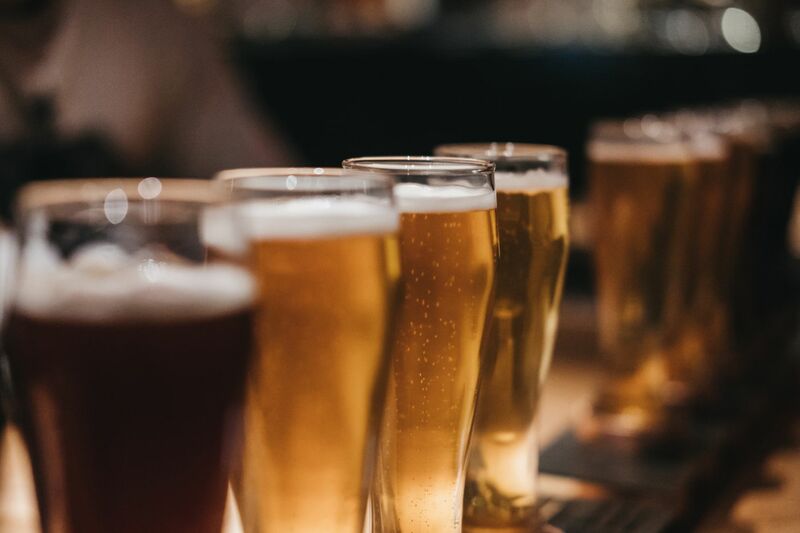 Set to take place May 4 at Love City Brewing (1023 Hamilton St.), the Bold Women & Beer Festival will feature beers from more than 40 breweries, as well as food trucks and live music. The event is from 1 to 4 p.m.; tickets are $45, and are available now. Proceeds from the event will go to a scholarship fund run by the Philadelphia region’s chapter of the Pink Boots Society, an international organization that works to benefit women in the brewing industry. Founded in 2007 by brewer Teri Fahrendorf, the group has some 1,900 members in chapters around the world, including the Philly faction, which is headed up by Devil’s Den owner Erin Wallace and St. Benjamin’s Shawn Dulee. As part of the festival, Love City partnered with the Pink Boots Society to brew a collaborative beer in honor of International Women’s Day. Dubbed Smash It Up Saison, the beer is a 6.5-percent ABV American Farmhouse Ale that is currently being brewed at Love City’s Philly headquarters, according to a release. The beer will debut at the Bold Women & Beer Festival on May 4. In addition to Smash It Up Saison, 10 other “satellite brews,” as a release calls them, are in the works at breweries in the Greater Philadelphia area, such as Cape May Brewing in New Jersey and Harrisburg’s Evergrain. Collectively, a release notes, the beers will “showcase a range of brewing styles and skills,” and run the gamut from IPAs and saisons to cream ales and sours. The Philadelphia area, of course, is home to several notable women in the craft beer industry, including early pioneers such as Carol Stoudt, who started Stoudts Brewing Company in 1987 and served as the first female brewmaster since Prohibition, and Rosemarie Certo, who opened Dock Street Brewery, Philly’s first microbrewery, in 1985. 🎉🎉BIG announcement for #internationalwomensday 🎉🎉 We’re hosting Philly’s FIRST women-centered beer festival!! Saturday May 4th! Check out @boldwomenandbeer for more info! AND we got to brew with all these awesome women for the #pinkboots brew - look for Smash It Up Saison on April 4th! The festival comes amid calls for increased diversity in craft beer, particularly as sales growth begins to plateau for the industry after years of double-digit growth, the New York Times reported in January. According to 2018 Nielsen-Harris data presented by the Brewers Association, craft beer drinkers nationally are about 68.5 percent male, and 31.5 percent female. Scarborough data from 2017, meanwhile, found that in the Philadelphia area specifically, that breakdown changes to 74 percent male and 26 percent female. The U.S. population, according to 2018 US Census estimates, is about 50.8 percent female.